Climate Proposal Review Process | Climate Science: Roger Pielke Sr.
Just 23 universities account for more than half of the funding awarded by the NSF top to research universities. See Table 1 . The entire article with the tables is very worth reading. Gaming the system (or bending the rules, playing the system, abusing the system, milking the system or working the system) can be defined as “[using] the rules and procedures meant to protect a system in order, instead, to manipulate the system for [a] desired outcome”. My answer is YES, unless these individuals can demonstrate skill at multi-decadal regional climate predictions which they fund. To my knowledge, however, this demonstration of skill has not been shown. Thus those individuals are either very naive or are deliberately gaming the system. I am quite blunt in this post (and see also this post ) where I focus on the NSF, since the individuals I am referring to have been alerted to the failings with respect to providing multi-decadal predictions of changes in regional and local climate statistics to the impacts community. To be clear, my criticism is not with all of NSF, but only with those program managers who are funding multi-decadal impact studies based on predictions of changes in regional and local climate statistics. Despite the identification of this issue and either refuting our findings, or accepting them and not continuing to fund, they have ignored this issue. I see no other explanation for them ignoring our findings, except that they can use their claims of providing forecasts for the policymakers and stakeholders in order to continue the flow of dollars from the federal treasury into their programs. At best this is short-sighted, and at worse it is dishonest. There has been a development over the last 10-15 years or so in the scientific peer-reviewed literature that is short circuiting the scientific method. The scientific method involves developing a hypothesis and then seeking to refute it. If all attempts to discredit the hypothesis fails, we start to accept the proposed theory as being an accurate description of how the real world works. Unfortunately, in recent years papers have been published in the peer-reviewed literature that fail to follow these proper steps of scientific investigation. These papers are short circuiting the scientific method. Many of these peer-reviewed papers are funded by the NSF. As of today’s date, it is clear they are still ignoring addressing the issues that we have summarized in our peer-reviewed articles – Pielke and Wilby 2012 and Pielke et al 2012. They are gaming the system in order to continue the high level of funding for impact studies that are based on the multi-decadal regional and local climate model predictions of changes in climate statistics. are certainly gaming the system (or are very naive). Remarkably, as I have learned, there is no accountability and review of what the NSF program managers fund in terms of topic area, including no effective mechanism to contest if they are actually funding robust scientifically tested research. 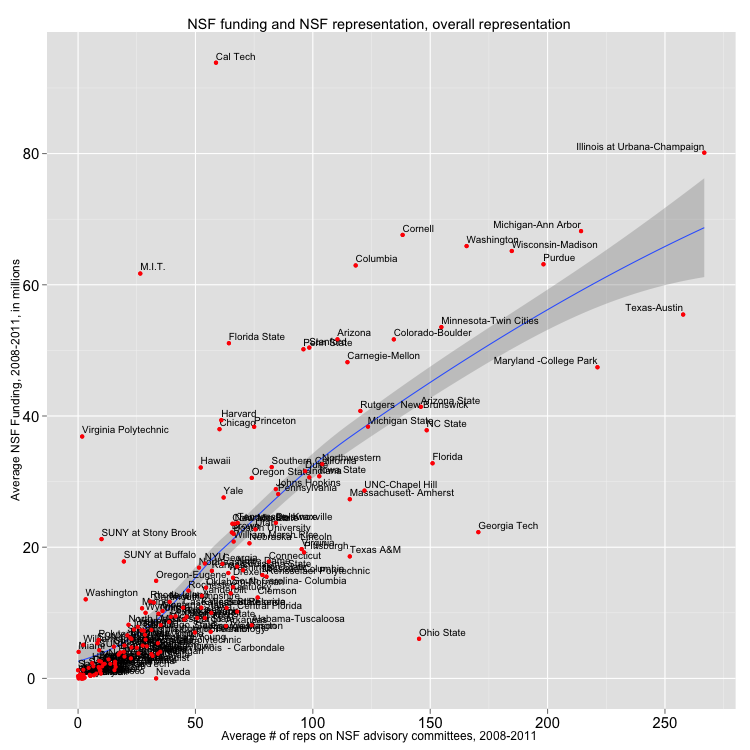 NSF is cavalier in terms of the length of time proposals are under review. NSF has decided to emphasize climate modeling and of funding multi-decadal climate predictions, at the expense of research which can be tested against real-world observations. NSF penalizes scientists who criticize their performance. Exchange Server: Most users have their mail delivered to their Exchange Server mailbox. If you haven’t done anything special, that is where your mail is delivered and stored. In Outlook your mailbox is the folder that includes your name in the folder name (top folder in your Folder List). The Exchange Servers are backed up to tape nightly, and the tapes are retained for 14 days, then destroyed. Exchange Server has a feature that allows you to recover deleted messages (even after the trash is emptied). That feature is set to retain deleted messages for 5 days. When these features are combined, it means that 19 days after you delete a message and empty the trash, nobody can recover it. This lack of accountability with federally supported NSF should be of concern to everyone, regardless of your perspective on the climate science issue. This definition can certainly also be applied to a number of program managers at the NSF, and other funders, of climate science research. Until and unless a new direction that is actually based on the scientific method is introduced, we will continue to see this abuse of their positions (and waste of funds) as stewards of funding scientific research. Comments Off on Are Some Climate Scientists And Program Managers At NSF Gaming the System With Respect To Providing Inadequately Assessed Multi-Decadal Predictions Of Changes In Climate Statistics To The Impacts Community? sent the informative e-mail below which I invited him to share with everyone. It is reproduced with his approval. While reading today’s post [that of March 27 2012] about bias, and how models do not give useful regional weather/climate predictions, I was reminded of Judy Curry’s presentation in Boulder on August 31, 2011 – an example of what is needed. The workshop was sponsored by NOAA on water cycle science challenges, and Curry’s presentation showed how lower 48 droughts relate to PDO and AMO, what was predicted for those ocean cycles, and therefore what the drought predictions were: the analogue for the next decade or so was the 1950s. 2. The quantification of the climate and other threats to these metrics with respect to selected key resources in water, food, energy, human health and ecosystem function. 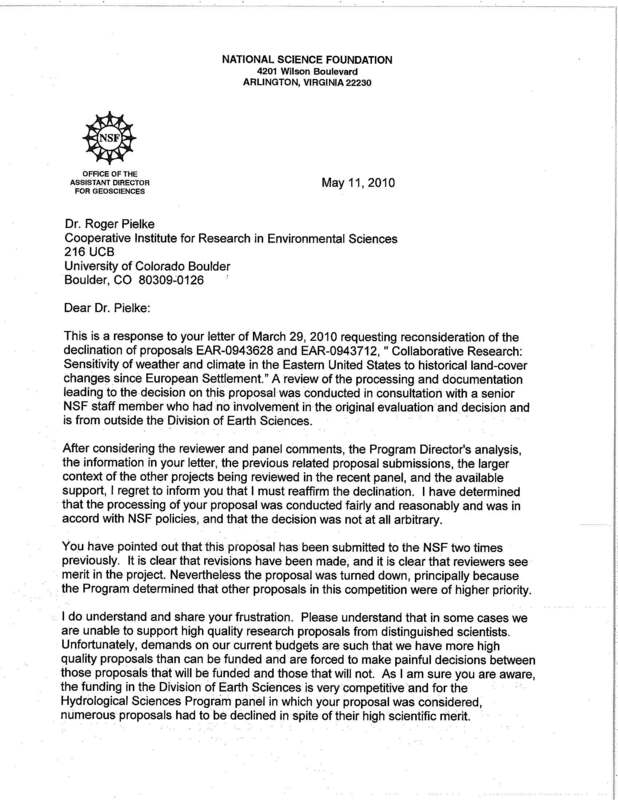 My experience, that I have documented below, with the program managers who handled this issue illustrates the problem with obtaining funding at the NSF in climate related studies unless you fit into their particular area of interest (i.e. there are “favored topics” despite what is announced in the Dear Colleague letter). No. There are no favored topics. In terms of review criteria, unusual promise for societal benefit can contribute to the broader impacts of a proposal. In the following, I have reproduced the e-mails involved in my interaction with the program managers at the NSF. I have redacted their names, since these individuals just illustrate a culture at the NSF in the area of climate science that is clearly biased to perpetuating a particular viewpoint on the climate issue. Well over a month ago, I submitted the short write up at the NSF website (using your form – http://www.nsf.gov/od/oia/creativ/inquiry.cfm) on submitting a CREATIV proposal, but have not heard anything regarding my submission. and was announced by Professor (NSF Director) Suresh, who I have copied to on his MIT e-mail address. However, so far, we have had no feedback from the NSF on our Inquiry submission. 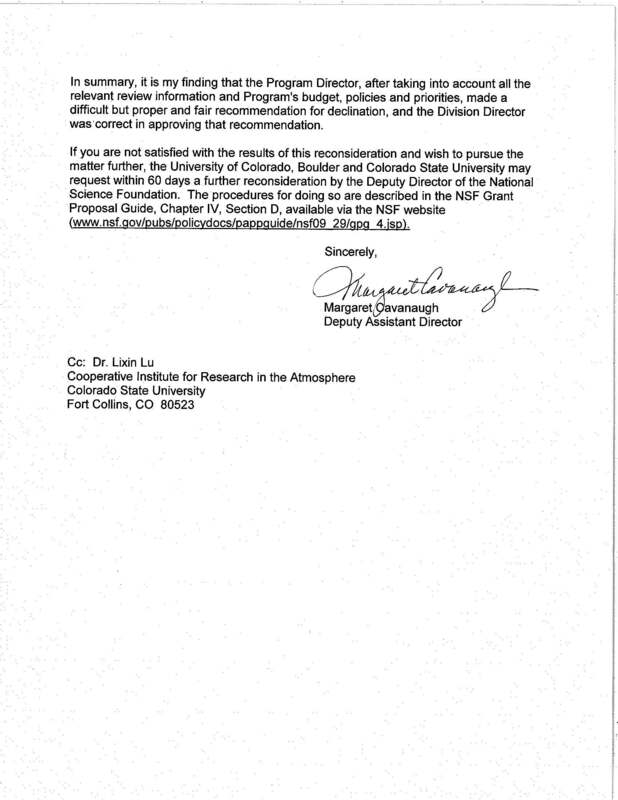 My Response: Here is the first response which I received only after I copied the Director of the NSF. 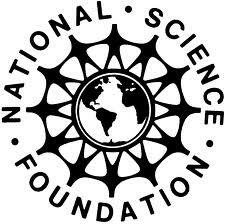 I am an NSF program officer. I was not among the program officers that you listed on your CREATIV inquiry, but I am among those to whom your inquiry was routed. These programs certainly would fit with out bottom-up focus, but a deadline of February 2013 for the next RCN-SEES deadline (Feb. 4, 2013) for just submitting, means it would be 1 1/2 years or more from now before we would have any funding, even if we were successful in a proposal. shows that the current approach of regional and local downscaling of multi-decadal global model climate predictions for use to determine vulnerabilities to key societal and environmental resources is seriously flawed, we feel it is important to examine the value of the bottom up approach. The IPCC type scenarios are, at best, a subset of what climate threats that will be faced in the future. WSC Grants (WSC = Water Sustainability and Climate). have any closer deadlines to submit [I assume the last two have a Feb 2013 date for new submissions). My colleague YYYY has kindly provided information on WSC below. There is some chance that EFRI-RESIN may have another solicitation, but that is not yet decided, and, at any rate, the deadline would be after the next RCN-SEES deadline of February 4, 2013. The Water Sustainability and Climate (WSC) competition is likely to have its next deadline in around 18 months, although this is uncertain and the specific requirements for proposals may change. The current solicitation for large awards is funding research that focuses intensely on one watershed or that compares water sustainability issues in two or more watersheds. The solicitation requires that proposals integrate the work of experts from fields in engineering, geosciences, biosciences, and social sciences. Some of what you want to do may well fit with WSC. ii) provide examples of the more holistic, inclusive assessment of vulnerabilities in our bottom-up (contextual) approach. Since I am leading, as Editor-in-Chief, a 5 volume set of books which introduce this perspective (and provides examples), I would be able to leverage from the work that we are producing in this volume and to work with a number of those colleagues to assist in building on it. One issue with the set of 5 books is that there remains considerable existing emphasis on the narrower top-down, global climate model dominated view, and a focused study on the bottom-up approach is needed. My Editors are Faisal Hossain on water resources (Tennessee Technological University); Jimmy Adegoke and Caradee Wright on human health (CIRS; South Africa); Tim Seasteadt and Katie Suding on ecosystem function (University of Colorado/ UC Berkeley); Dev Niyogi on food (Purdue); and George Kallos on energy (University of Athens, Greece). My proposal is very straightforward. It is to determine the major threats to a selected examples of local and regional water, food, energy, human health, and ecosystem function resources to short term weather events (e.g. tornadoes), multi-weekly and seasonal long events (droughts) and multi-year and decadal variability and change (e.g. an increase or decrease in the 30 year warm season maximum temperatures), and also from other social and environmental issues. After these threats are identified for each resource, then the relative risks from weather and climate issues can be compared with other risks in order to adopt optimal preferred mitigation/adaptation strategies. 1. Why is this resource important? How is it used? To what stakeholders is it valuable? 2. What are the key environmental and social variables that influence this resource? 3. What is the sensitivity of this resource to changes in each of these key variables? (This includes, but is not limited to, the sensitivity of the resource to climate variations and change on short (days); medium (seasons) and long (multi-decadal) time scales). 4. What changes (thresholds) in these key variables would have to occur to result in a negative (or positive) outcome for this resource? 5. What are the best estimates of the probabilities for these changes to occur? What tools are available to quantify the effect of these changes? Can these estimates be skillfully predicted? 6. What actions (adaptation/mitigation) can be undertaken in order to minimize or eliminate the negative consequences of these changes (or to optimize a positive response)? 7. What are specific recommendations for policymakers and other stakeholders? I hope you can direct me to where I can seek funding for this effort prior to 2013. To the extent that your project is descriptive and essentially a literature review, the project is probably not appropriate for NSF whose mission is to support basic research. If elements of your project are likely to produce a theoretical or methodological advance, then the project is probably appropriate for the DRMS Program. The next target date is August 18 with funding decisions in November and December. The approach is quite a bit more than a literature survey, as stakeholders would need to be interviewed and data analyzed. It is a more robust approach the current top-down method, as we concluded in our AGU book chapter and the EOS article. The top-down approach is currently receiving quite large amounts of NSF funding, yet the basic science robustness of this approach has not been adequately vetted. This would be part of our research. that you fund small grants that are high-risk and of a potentially transformative nature (EArly-Concept Grants for Exploratory Research – EAGER). Our approach would be to test if the current top-down global climate model multi-decadal prediction approach is fatally flawed as a major driver of impact studies(as we have found so far in our studies), and that funds are being wasted on this methodology. This would be a transformative finding if our finding is confirmed. To my knowledge, there is no coherent NSF program that is looking into this issue. The DRMS proposal officers have concluded that your proposed project does not seem to be sufficiently risky and transformational to warrant DRMS encouraging you to submit an EAGER proposal. The notion that one can usefully look at the incremental threat to a sector from any particular hazard is not a great conceptual leap forward. There is no reason your proposed project should not undergo NSF’s peer review procedures. Do you plan to reply to my request for information as to which NSF funded projects are assessing the skill of multi-decadal regional climate predictions? The regional climate model predictions for the coming decades that are being provided to the impacts communities is not basic science unless their predictive skill can be determined. To my knowledge, however [and as we summarized in the Pielke and Wilby, 2012 EOS article], they have not been shown to have skill even in a hindcast mode when compared with observed variations and long term changes in climate statistics. This assessment is very much needed (unless you or others provide information that refutes my finding) and is one of the two pillars of my proposed study. This, as I have written, is hardly an incremental study, but underpins a large amount of spending by the NSF. I also plan to post regarding this issue on my weblog in the coming days, but would like your feedback first on my question. The appropriate responder to your question is in the Geological Sciences Directorate, not the Social, Behavioral and Economic Sciences Directorate. I do not know if NSF is funding projects that are assessing the skill of multi-decadal regional climate predictions. Please let me know who I should contact in the Geological Sciences Directorate. In terms of the Social, Behavioral and Economic Directorate, however, I am under the understanding that climate impact studies on society are funded which use (and have their fundamental basis on) the regional climate model projections. If my understanding is incorrect on this, please let me know. One good way to find out what NSF is funding is to check out abstracts of awards listed on the NSF website (www.nsf.gov). You can search by keyword, program, etc. The website also describes the different programs in the atmospheric sciences division of the geosciences directorate. We have already done that and there are no grants that we found that assess the model skill as I have outlined in our papers. They are quite well aware of the issues I have raised on this subject in the Geosciences Directorate and have chosen to ignore them. The only exception is their new focus on decadal predictability, which, however, is still distinct from the multi-decadal impact studies based on the IPCC type projections. i) that programs that examine societal and environmental vulnerability are using the results from the multi-decadal global climate model predictions as an essential part of their studies. These results are then being used (misused in my view) by the policy and political communities. ii) The Geosciences Directorate has chosen to arbitrarily accept the model predictions as applied to impact studies as robust. They have ignored, so far, attempts to get them to properly assess this issue. My bottom-line conclusion is that there is really no basic science aspect to these NSF funded impact studies [which appear across the NSF funding spectrum], yet NSF continues to fund them. Require external independent assessments, by a subset of scientists who are outside of the NSF, of the reviews and manager decisions, including names of referees. This review should be on all accepted and rejected proposals ( as documented in the NSF letter at the end of this post, since they were so late sending out for review, they simply relied on referees of an earlier (rejected) proposal; this is laziness at best). The National Science Board request follows. I will be submitting my comments, based on the above text, and urge colleagues who read my weblog to do likewise. 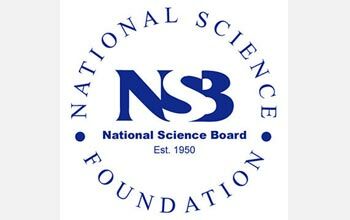 Over the past year, the National Science Board (NSB) has been conducting a review of the National Science Foundation’s merit review criteria (Intellectual Merit and Broader Impacts). At the Board’s May 2011 meeting, the NSB Task Force on Merit Review proposed a revision of the two merit review criteria, clarifying their intent and how they are to be used in the review process. In addition, the Task Force identified a set of important underlying principles upon which the merit review criteria should be based. We now seek your input on the proposed revision and principles. The Task Force looked at several sources of data for information about how the criteria are being interpreted and used by the NSF community, including an analysis of over 190 reports from Committees of Visitors. The Task Force also reached out to a wide range of stakeholders, both inside and outside of NSF, to understand their perspectives on the current criteria. Members of NSF’s senior leadership and representatives of a small set of diverse institutions were interviewed; surveys about the criteria were administered to NSF’s program officers, division directors, and advisory committee members and to a sample of 8,000 of NSF’s Principal Investigators (PIs) and reviewers; and the NSF community at large was invited to provide comments and suggestions for improvements through the NSF web site ( http://www.nsf.gov/nsb/publications/2011/01_19_mrtf.jsp). The stakeholder responses were very robust—all told, the Task Force considered input from over 5,100 individuals. One of the most striking observations that emerged from the data analyses was the consistency of the results, regardless of the perspective. All of the stakeholder groups identified similar issues, and often offered similar suggestions for improvements. It became clear that the two review criteria of Intellectual Merit and Broader Impacts are in fact the right criteria for evaluating NSF proposals, but that revisions are needed to clarify the intent of the criteria, and to highlight the connection to NSF’s core principles. The two draft revised criteria, and the principles upon which they are based, are below. Comments are being collected through July 14—we invite you to send comments to meritreview@nsf.gov. It is expected that NSF will develop specific guidance for PIs, reviewers, and NSF staff on the use of these criteria after the drafts are finalized. Your comments will help inform development of that guidance, and other supporting documents such as FAQs. The Foundation is the primary Federal agency supporting research at the frontiers of knowledge, across all fields of science and engineering (S&E) and at all levels of S&E education. Its mission, vision and goals are designed to maintain and strengthen the vitality of the U.S. science and engineering enterprise and to ensure that Americans benefit fully from the products of the science, engineering and education activities that NSF supports. The merit review process is at the heart of NSF’s mission, and the merit review criteria form the critical base for that process. We do hope that you will share your thoughts with us. Thank you for your participation. All NSF projects should be of the highest intellectual merit with the potential to advance the frontiers of knowledge. Increased economic competitiveness of the United States. Development of a globally competitive STEM workforce. Increased participation of women, persons with disabilities, and underrepresented minorities in STEM. Increased partnerships between academia and industry. Improved pre-K–12 STEM education and teacher development. Increased public scientific literacy and public engagement with science and technology. Enhanced infrastructure for research and education, including facilities, instrumentation, networks and partnerships. Broader impacts may be achieved through the research itself, through activities that are directly related to specific research projects, or through activities that are supported by the project but ancillary to the research. All are valuable approaches for advancing important national goals. Ongoing application of these criteria should be subject to appropriate assessment developed using reasonable metrics over a period of time. What role does the proposed activity play in advancing knowledge and understanding within its own field or across different fields? How well qualified is the individual or team to conduct the proposed research? Which national goal (or goals) is (or are) addressed in this proposal? Has the PI presented a compelling description of how the project or the PI will advance that goal(s)? Is there a well-reasoned plan for the proposed activities, including, if appropriate, department-level or institutional engagement? Is the rationale for choosing the approach well-justified? Have any innovations been incorporated? How well qualified is the individual, team, or institution to carry out the proposed broader impacts activities? Are there adequate resources available to the PI or institution to carry out the proposed activities? Predicting Wars Based On Climate Change – Really? There is a remarkable recently NSF funded study that claims to be able predict the liklihood of wars based in part on multi-decadal climate change. Readers can assess from their own perspectives if this is appropriate as a scientifically testable study. In my view, a significant portion of NSF funding is going to projects that involve predictions decades into the future, and this is just one example. These predictions, of course, cannot be verified during the lifetime of the project (and even for years afterwards), so it is not clear to me why such research is being funded by the NSF. Here is the study with an extract from the abstract. Comments Off on Predicting Wars Based On Climate Change – Really? On May 18 2010 I posted on a proposal to NSF that was highly rated each time it was submitted, but was rejected each of the three times it was submitted after further revisions were made. Over the years, NSF’s statutory authority has been modified in a number of significant ways. In 1968, authority to support applied research was added to the Organic Act. In 1980, The Science and Engineering Equal Opportunities Act gave NSF standing authority to support activities to improve the participation of women and minorities in science and engineering. Another major change occurred in 1986, when engineering was accorded equal status with science in the Organic Act. NSF has always dedicated itself to providing the leadership and vision needed to keep the words and ideas embedded in its mission statement fresh and up-to-date. Even in today’s rapidly changing environment, NSF’s core purpose resonates clearly in everything it does: promoting achievement and progress in science and engineering and enhancing the potential for research and education to contribute to the Nation. While NSF’s vision of the future and the mechanisms it uses to carry out its charges have evolved significantly over the last four decades, its ultimate mission remains the same. We have presented the letter from the Deputy Assistant Director regarding our request for reconsideration. This letter is quite informative as it is a cursory, pro forma response without any detail. What it confirms is that program managers have considerable latitude in decision-making and can eliminate well reviewed projects if they differ from their priorities. The program managers decide what is “basic scientific research and research fundamental to the engineering process” rather than relying on the reviewers to determine this [of course, they can also select known biased reviewers if they want to reject a proposal]. Since the level of ratings of our proposal were high, the reason for the rejection is based on the program managers concluding that the role of land use change in the climate system is not a high research priority. Also, despite the NSF requirement listed their mission statement “to support activities to improve the participation of women and minorities in science and engineering”, the fact that woman (Dr. Lixin Lu) was the PI on the project was not discussed in the reconsideration. present the date of submission and final acceptance (or rejection) of the proposal. I also recommend they make easily available the list of all of the reviewers used during the year within each NSF program office. NSF program managers have considerable ability to slant research that they fund with insufficent transparency of the review process. This has become quite a problem in the climate science area where, as one example, in recent years they have elected to fund climate predictions decades into the future (e.g. see which was funded in part by the NSF; I will discuss specific examples of such funded projects by the NSF in a future post).